You can love him. You can loath him. But there is no ignoring Hank 111, the country rebel with a hillbilly sound and the defined stage presence. Over the years, both have brought him into arguable contention. However, forget the legendary spat with Curb, and do not pay too much heed to musical purists. When this country punk delivers a bonafide country album, well, the slate wipes clean, Shelton Hank Williams, the noted son of Hank Junior, is hard to pin. The multi-talented musician –he plays drums, guitar, and bass – over his decade plus career has bounced between hard-nosed punk, thrashed metal and country. It’s little wonder those who hoped for a continuation of the Williams’ name are not only confused but disappointed. Not that Shelton cares. Being outside the box is the appeal of the tattooed front man for his other-than-country- band, Assjack. However, given his many musical guises, when he hits his mark with a country outing, it’s a cause of renewed interest – well, at least for me. 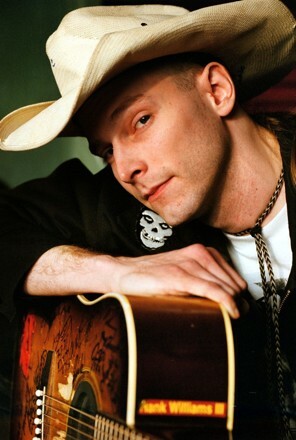 With Long Gone Daddy – a mix of outtakes from earlier albums Risin’ Outlaw, and Lovesick, Broke and Driftin’ along with six covers – Hank 3 hits his boot straps with music that will have honky-tonkers heading for the CD store. For me – I love it. All that is missing from the opening track, the Hank Williams- penned “I’m a Long Gone Daddy," is sawdust. Made for Saturday night fun times, the fiddle powers a tune that was good then …better now. Shelton bandies the vowels and bends the phrasing, but rather than detract from the classic cut, it value adds. Cuts like “The Bottle Let Me Down” (Haggard), “Wreck of the Old ‘97” (Cash) and the classic “ A Good Hearted Woman” (Nelson/Jennings) all add dusted presence and feel to an album that will win fans with interests other than this week’s Billboard chart. As with most of Hank 3’s albums, there’s a payback tune. A nose wipe to convention. The caustic moment comes here with the self-inked “What They Want Me To Be." Defiantly raising a lyrical finger to the established Nashville, the tune is sure to displease the mentioned “backstabbers” firmly locked safe behind Music Row hedges. Shelton Hank Williams 111 is a source of contradiction (see HERE) But when he fully embraces the family heritage and digs deep into his roots, he is more than capable of honoring his long gone granddaddy.